Google is all about changing the paradigm of everyday technology. The latest example of this is their newly created image format for the web called WebP. Google engineers were sitting around one day, probably enjoying their free 3 course lunch at the GooglePlex, when they decided that you know what… we can make the web even faster if we found a way to compress JPEG’s into smaller image sizes without compromising quality. So off to work they went and gave birth to WebP, a more efficient image file format that is equivalent in quality to JPEG’s. 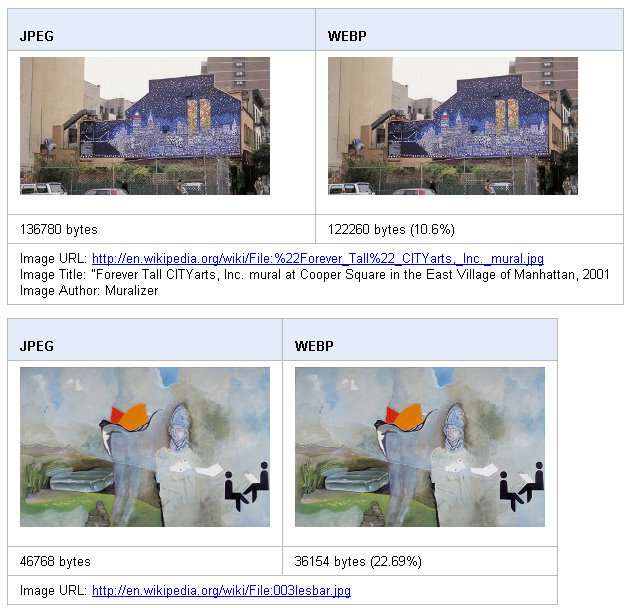 So what do you think about Google’s new WebP image format? Do you think it is even necessary with the improvements in Internet speeds and connectivity?